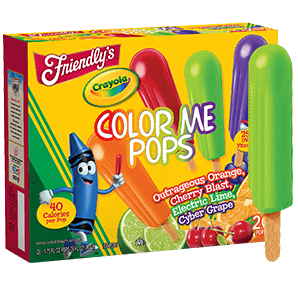 Our brightly colored Crayola Color Me Pops are even tastier than they look, and come in fun flavors like Outrageous Orange or Electric Lime! 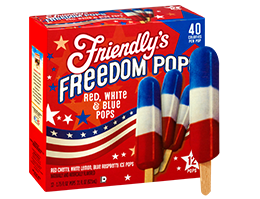 Cherry Pop Ingredients: Water, Sugar, Corn Syrup, Citric Acid, Guar Gum, Artificial Flavors, Red 40, Xanthan Gum, Ascorbic Acid (Vitamin C). Lime Pop Ingredients: Water, Sugar, Corn Syrup, Citric Acid, Guar Gum, Natural And Artificial Flavors, Yellow 5, Blue 1, Xanthan Gum, Ascorbic Acid (Vitamin C). 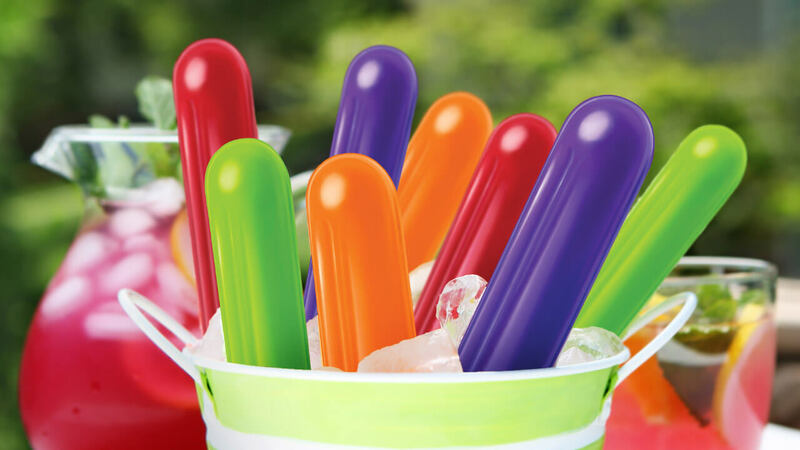 Orange Pop Ingredients: Water, Sugar, Corn Syrup, Citric Acid, Guar Gum, Natural And Artificial Flavors, Yellow 6, Red 40, Xanthan Gum, Ascorbic Acid (Vitamin C). Grape Pop Ingredients: Water, Sugar, Corn Syrup, Citric Acid, Guar Gum, Natural And Artificial Flavors, Red 40, Blue 1, Xanthan Gum, Ascorbic Acid (Vitamin C).